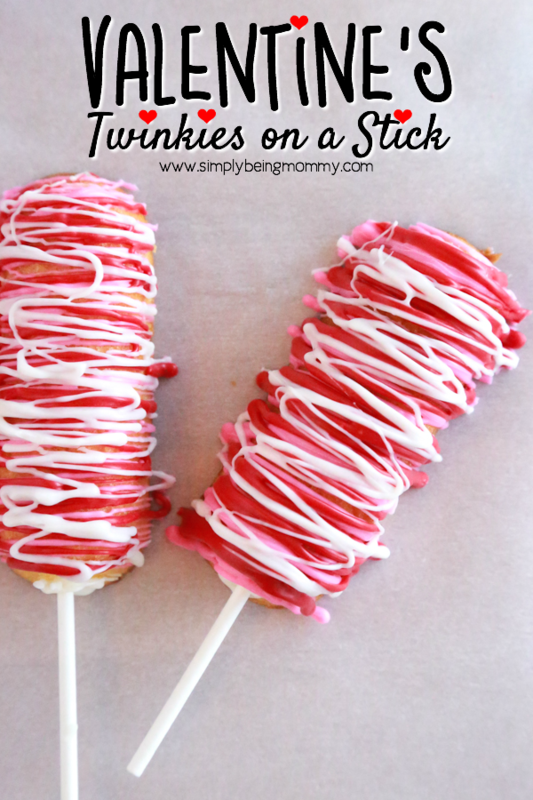 With less than a week until Valentine’s Day, I wanted to share at least one more Valentine’s Day snack idea. How does Valentine’s Popcorn sound? I have some more ideas floating around in my head, but with limited time I’m not sure if I’ll be able to share them before everyone starts celebrating. 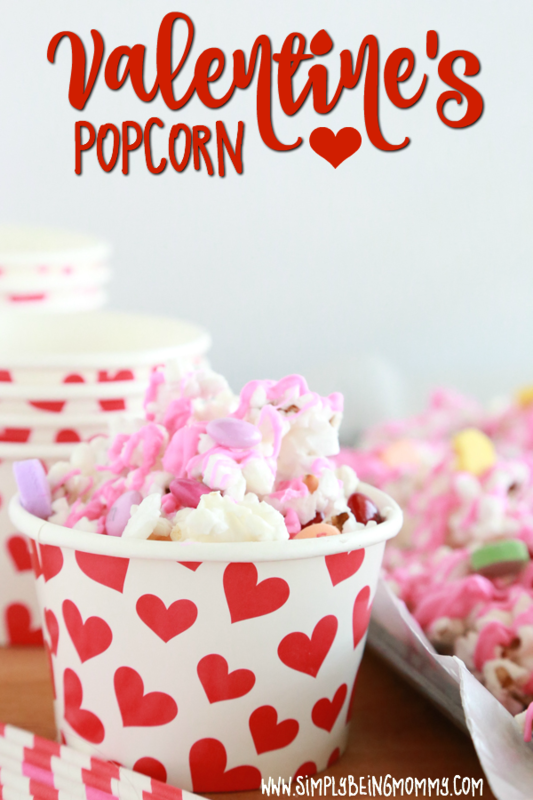 This Valentine’s Popcorn is super simple to make and is just a super fun way to serve popcorn on Valentine’s Day. Line a large baking sheet with wax paper or parchment paper; set aside. Pop one bag of popcorn according the the directions on the package. Pour into a large bowl. Melt white candy melts in the microwave according to the directions on the package. Pour half white candy melts over popcorn; stir. Repeat with remaining white candy melt. Spread the popcorn out on the prepared baking sheet. Melt pink candy melts in the microwave according to the directions on the package. Carefully drizzle over popcorn. Allow to cool and harden. 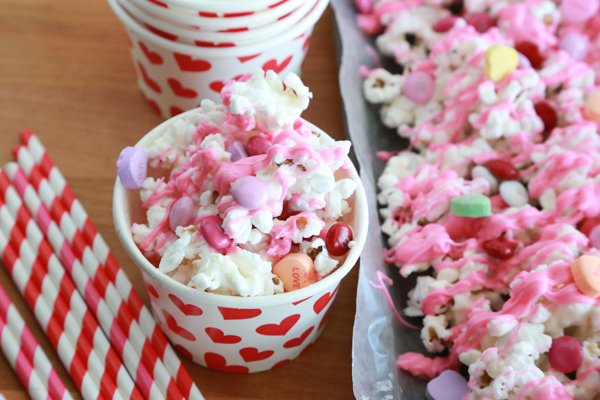 Sprinkle conversation hearts and M&M's over popcorn. Break into small pieces and serve. Store remaining popcorn in an airtight container for up to 5 days. I’ve made a few batches of this Valentine’s Popcorn this year and the kids really like it. I took it to church for Children’s Church and everyone loved having all the different flavors in one Valentine’s Day snack. 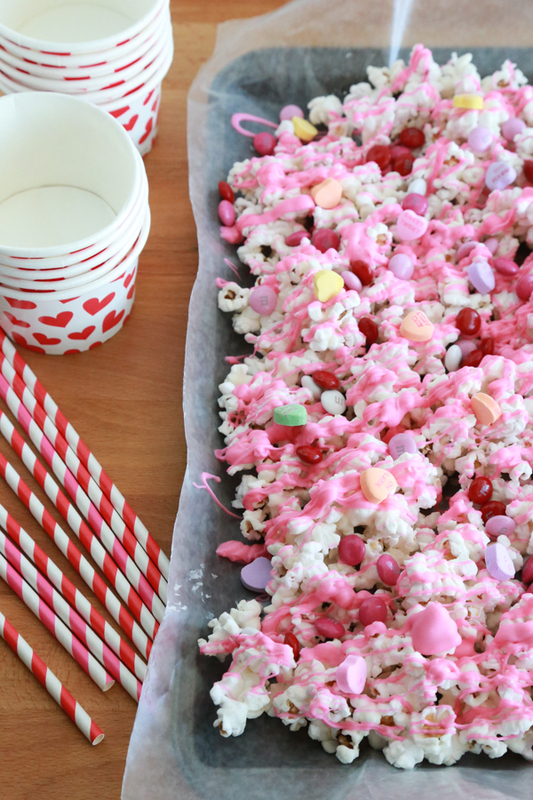 If your children’s school still allows homemade treats, this Valentine’s Popcorn would be an easy, affordable option! You could serve it in small-themed bowls like I did, or even in small brown paper sacks with a cute bag topper. 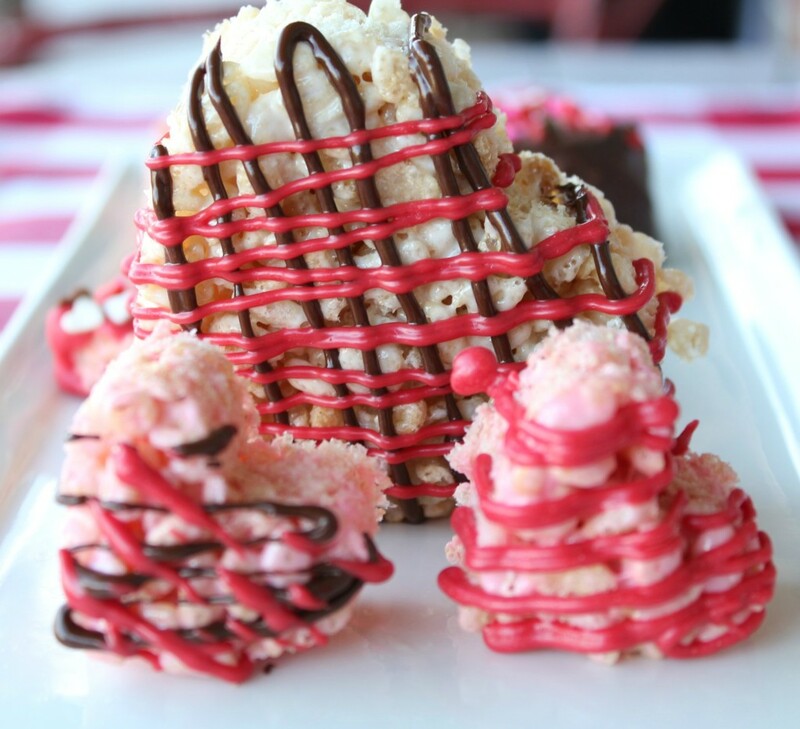 Regardless of how you serve this Valentine’s Popcorn, it’s sure to be a hit. 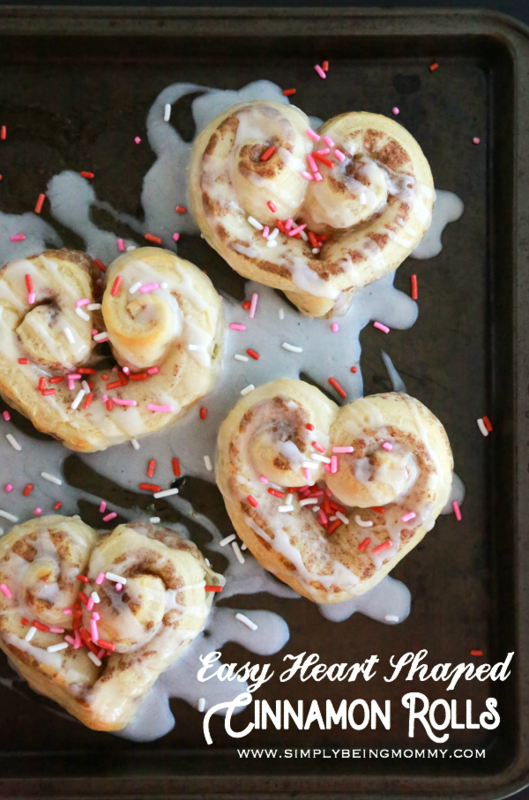 Need more Valentine’s Day snack ideas? Check out my other Valentine’s Day treats. Your Valentine’s popcorn is probably one of the better V-Day treats I’ve seen this year. I’d love a big bowlful! That is such a pretty looking treat! And so easy to make, I love recipes like that. Beautiful photos too! That certainly looks like it will be a hit and would be with anyone. I love popcorn and it looks so pretty. That is such a cute idea. I love how easy it is to do too. What a great snack idea this is. My kids would LOVE this. I love the candy melts on top of the popcorn. It’s beautiful and I bet a real winner with the family! What a fun idea. 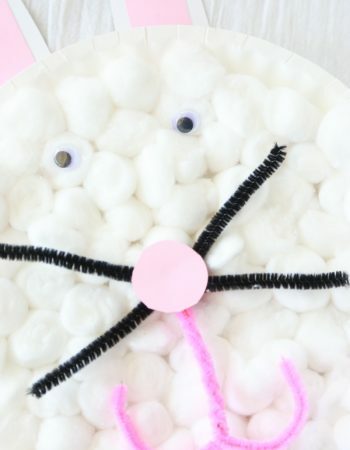 I would never have thought of making this with candy. 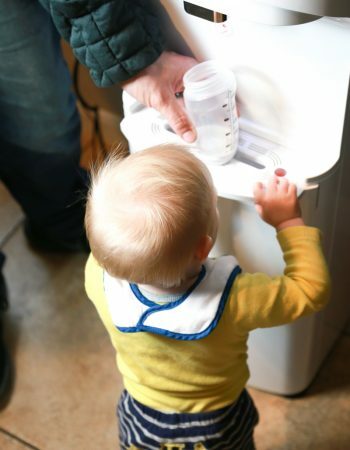 So cute and I am sure my kids would love it. Thanks for sharing. 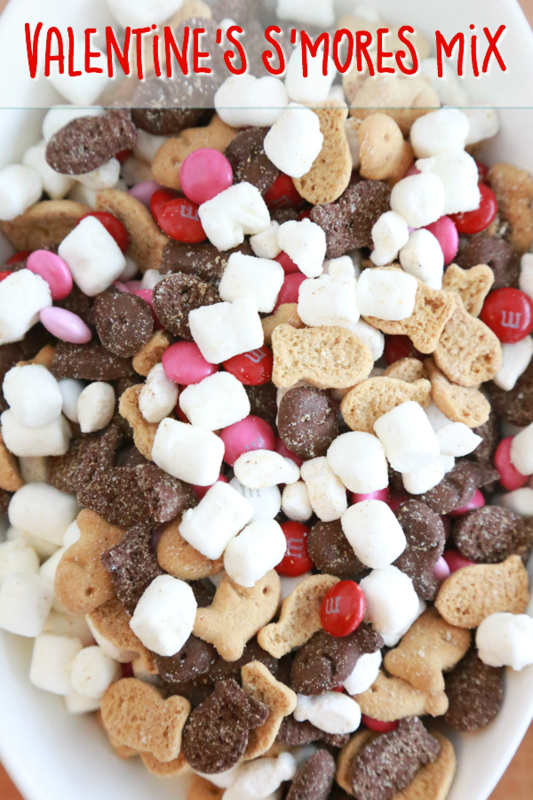 I never thought of making Valentine’s Day popcorn. 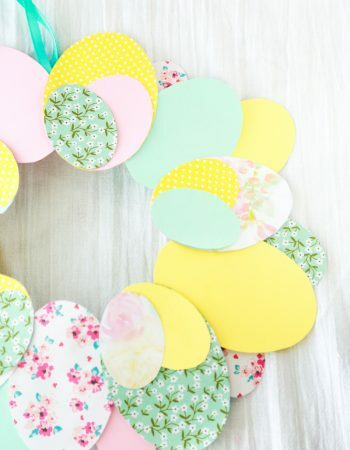 This is so colorful and I love it ! 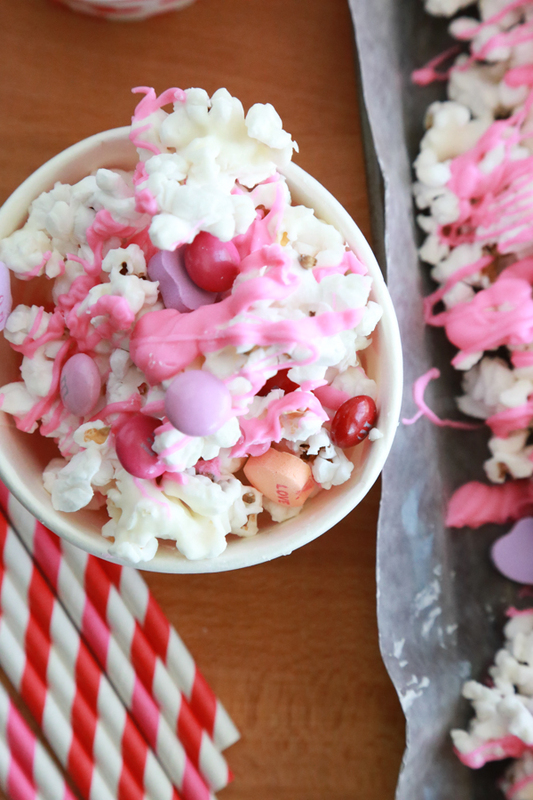 Your Valentine’s popcorn is so pretty! I bet it tastes totally delish too. 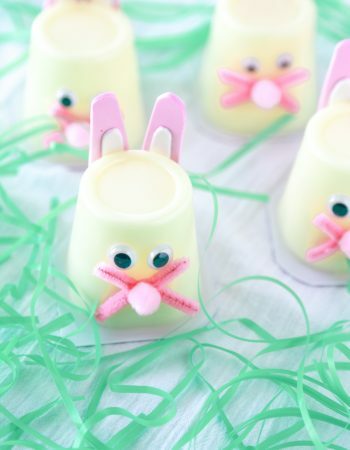 I would love to make some of this for the weekend to spoil my family. I’m sure they will love it! We make this all the time and my family loves it. It is so pretty and festive. We love to snack on popcorn. I will have to try this delicious recipe on the weekend. 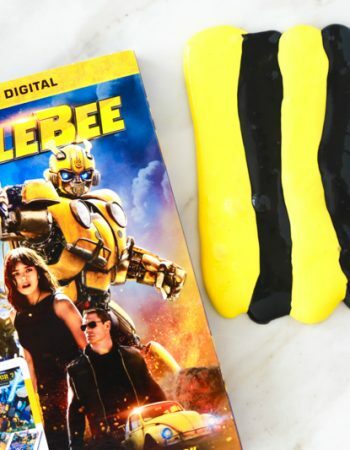 This popcorn looks so delicious and easy to make. I will have to get the ingredients i need to try this recipe on the weekend. My kids are going to love it. I never thought about my favorite. Hmmm, I don’t even know! Maybe this can be my new fave! This is truly beautiful! I would have such a hard time eating it because it is too pretty! This is so neat! I’ve never seen popcorn look like this and with M&M, OMG even better! Definitely making it for Valentine’s! This is SO cute! 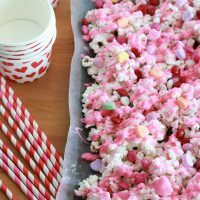 I love popcorn, and this would be a wonderful, delicious and easy treat to serve this Valentine’s Day! Thank you!